Divshare is back, to a degree. The official announcements from the company include the news that most files uploaded before March of this year are lost forever. Supposedly, some were retrieved for some users, but I can't find any of mind that work. This will require me to upload everything I've ever shared on the site, and rebuild every post, whether I choose to stay with Divshare or not. For the time being, no posts which are more than a month old (as of today) will work. I will try to provide updates as I work on this problem. If it's not already a tradition to offer up a Halmark 45 on or near Easter, 1.) it should be, and 2.) it will be soon. What other label so often offered up flowery language devoted to all things Jesus? Variations on a theme follow, even staying (as would a classical Mass) in the same key as the first song. 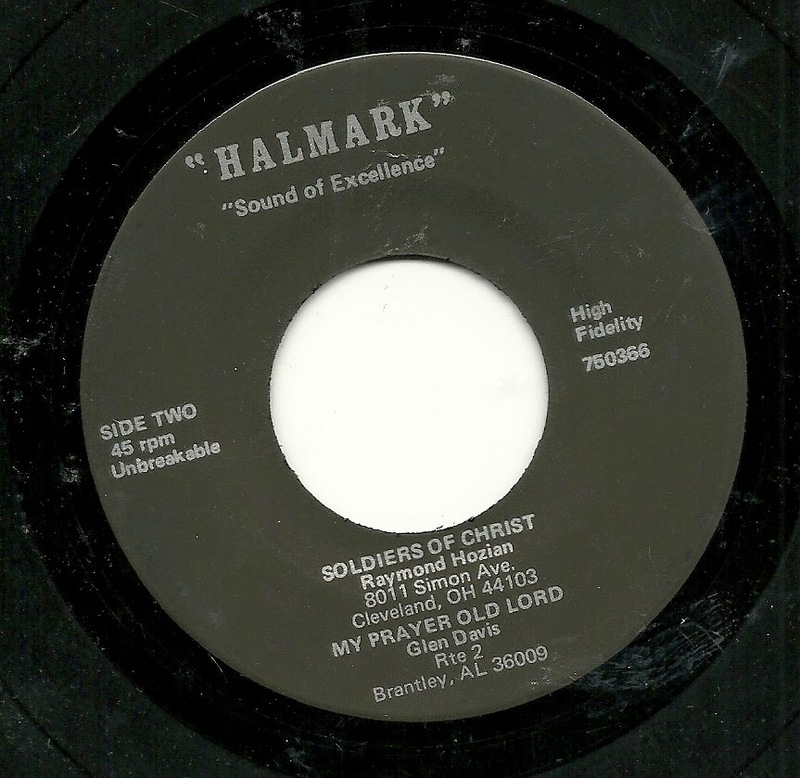 I'm willing to bet that the title was supposed to be "My Prayer Oh Lord", but I've saved the track here under the title listed on the label, which is "My Prayer Old Lord". I hope the Lord isn't offended in being addressed so familiarly and casually. Having grown up near Chicago, and having lived in the area my whole life, the image I came up with was the famous Rosehill Cemetery. However, it turns out that there is town called Rose Hill, Va., just 15 miles from the town where this particular song-poet lived. Even so, and even though the lyrics refer to Nancy in the present tense, there is some quality in the lyrics that suggest to me that she's may not be coming back. The most remarkable track here, however, has to be "Stolen Wedding Band". Not content to have a spoken section within the song, over the much used backing-track, in this case, the singer actually offers up 65 seconds of a Capella prose, spoken before the music even starts. As to the rest of this wronged woman ballad, I'll let you discover its charms for yourself, and wish you a happier Easter than this woman was experiencing.